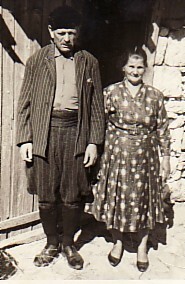 Above: My parents, Chrystodoulos and Anna. 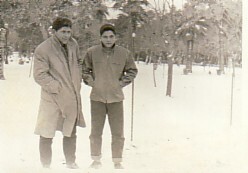 Above Right: With my brother, Grigorios. 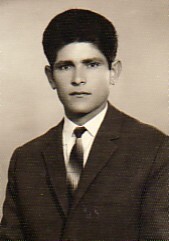 Above: A photograph taken during National Service. 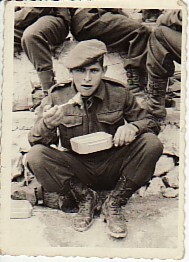 Above Middle: After National Service, I lived in Athens for two years. 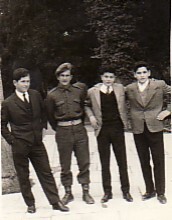 From left, we are: myself, Fotios Katehos, Nikolaos Katehos and my brother, Grigorios. 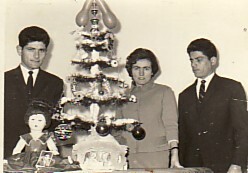 Above: With my brother, Andonios and his wife, Efthimia. Above Right: With my wife, Efrosini, in our family business- a take- away shop- in Thornleigh, Sydney. We owned the business for twelve years. 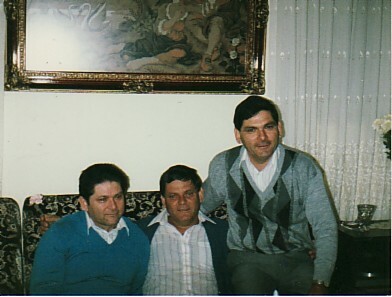 Above: With my brothers, Ioannis (middle) and Grigorios (right). Ioannis, who lives in the United States, was in Australia at the time. Above Right: Canberra. 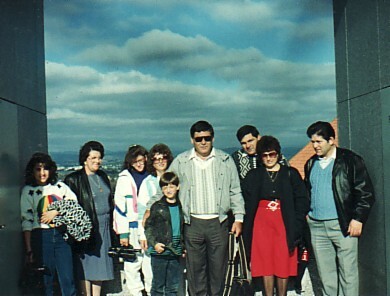 My brother, Ioannis, and his family were visiting Australia at the time, and we took them down to Canberra. From left, we are: Anna Douroudi, my wife, Efrosini, Maria, Ralio, Chrystos and Ioannis Douroudis, Grigorios and Panagiota Douroudis, and myself.